A few years ago, I posted this review about Lumosity, a popular brain-training site. After I posted that review at My Real Life Reviews, I continued with the program for just over a year. 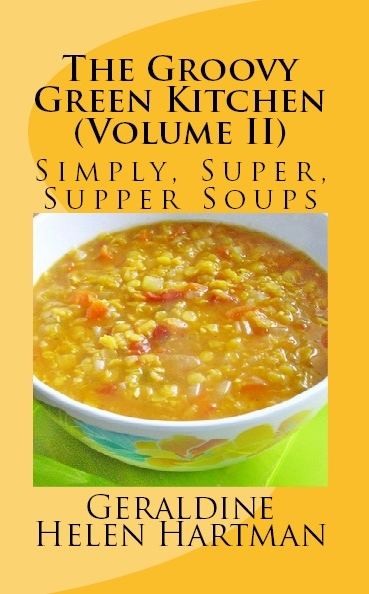 I found it helpful and saw a definite improvement in my brain functioning overall. But what I didn’t enjoy at that time was the same games showing up for my training sessions, again and again and again. I wrote to Lumosity customer service about this issue a couple of times and was assured by them that they were working on several new games and that they would be available to their members in the near future. But that didn’t happen as quickly as I hoped and after a while, I got to a point that I was so bored by the repetition of these same games and gave up my membership. But in the past few months, I had been thinking about giving Lumosity another try and I’m so glad that I did. They have added a LOTS of new and fun games to their program and it is far from boring, doing workouts there again. Three training sessions a week is recommended for optimal results but you can workout every day if you like and play your fav games as much as you want too. If you haven’t given Lumosity a try or are just curious to find out more, visit their site here. It is a very popular web-stop with millions of members around the world. Check out the trial offers (I got 2 weeks free when I started), single and family membership rates and also retail promo discount codes online to get even a better price. I paid less than $80 for me and Joe to use the program for a year (family rate plus a promo code I found online) and I consider that a bargain for what you get. We all want to keep our brains sharp and working at full potential. Lumosity is a great way to improve overall brain function and to see ongoing and significant results in this area. Source: Do You Know the Dangers of Too Much Sitting? Can you relate? Do you sit for long periods of time, without taking a stretch, walk break? Have You Embraced Your “Silver Goddess”? I’ve been coloring my hair for a LONG time, and long before any gray or white hair showed up in the mix. So far (and no, I don’t have the nerve to post a photo, yet!!!) my hair looks like it’s streaked, not too bad. Some gray, some white and still a quite a bit of brown. And how great it would be to not to have to bother to color my hair at all! I’ve been using Colora Henna Ash Brown (click to read my review) for the past few years with good results. But I’d be happy to forgo that messy job every 6 weeks, if I like the final grow-in color mix that I eventually end up with, now. What are your thoughts on “going gray”? Have you stopped coloring your hair? Or have you never colored your hair? I really didn’t know what to expect from this book, based on the wide variety of opinions and reviews at Amazon. But I’m glad that I did give it a try as I thoroughly enjoyed it, from beginning to end. 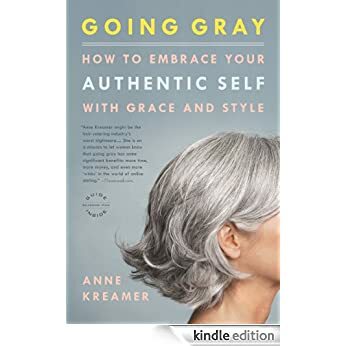 Author Anne Kreamer has provided readers with her personal journey and along with it, many surprising insights into the perils and pleasures of “going grey”. No, it isn’t rocket science or global warming and yes, I agree, hair color and style should NOT be such a big deal. But let’s face it, in the real world, being a woman and over 50 in particular, it IS a big deal and a big part of how a person feels overall. And even more important, how they are perceived and often judged, by younger people in particular. I was impressed by the research and attention to detail, that went into this book, especially the experiments with dating online and in real life that she tried, wow…that took some guts! The image consultants that she visited for advice, again interesting and enlightening reading. I also enjoyed Kreamer’s engaging and personable style of writing. This is a very personal book. She shares her own fears, thoughts, expectations…with the reader, what her own journey to “going grey” meant for her and also for her family. The only thing that would have made it even better would have been some photos from the dating sites (dark hair vs silver) and also some pics of attractive, grey haired women (famous or not) would have been inspiring too. If you’ve ever considered going grey (and I certainly AM) or are already embracing your “silver goddess” look, this is a book you won’t want to miss. As an avid product reviewer (and now a Top 1000 reviewer at Amazon.ca) I get to test out a lot of different types of products, including those for facial and body care. Some have been excellent, 🙂 some just OK, 😉 and some, not so good, 😦 IMO. Well, when it comes to the excellent category, Weleda products have always been winners! Here are three of the products from this new collection that I particularly liked. And (especially) if you have dry, sun-parched, maturing skin...keep reading, you’ll be glad you did! Usually, I am NOT a fan of any kind of body/after bath oil type product. Too messy, too greasy,don’t absorb …BUT, when it comes to Weleda Body Oils, that is not the case. I love their body oils, the Evening Primrose Oil in particular. It has a light, delicate scent, it really moisturizes, a LITTLE goes a long way and best of all, it absorbs quickly and completely, making application a breeze. I feel pampered and special when I use Weleda Evening Primrose Body Oil. 😉 And don’t we all need more pampering in our lives? Weleda Evening Primrose Body Oil is an 87% organic body oil that supports skin’s moisture-retaining abilities. It soaks quickly and deeply into skin to revitalize its appearance and promote radiance with powerful natural ingredients. Evening primrose seed oil combines with other natural plant oils, including olive, wheat germ oil, sea buckthorn and jojoba seed oil, to deliver essential fatty acids and omegas 3, 6, 7 and 9 that help restore and moisturize skin. 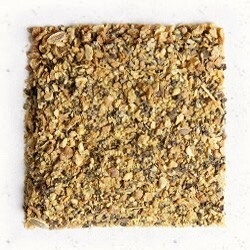 Its rich, velvety texture offers a nourishing treatment that leaves skin healthy, firm and renewed. Applied immediately after a bath or shower while skin is still damp, this body oil will soak in quickly and leave behind a fresh, floral fragrance of evening primrose flowers. I only started using night cream on a regular basis, in the past few years. When I was younger, my skin was very oily and with a tendency to breakout, so I never used any type of moisturizer in those days. 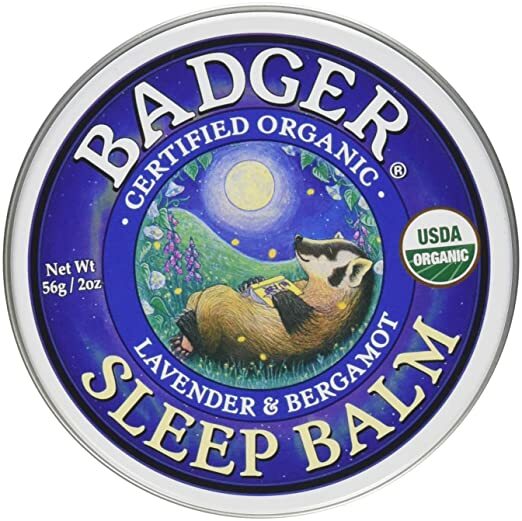 But as I got older, I did feel the need for a bit of night-time moisturizing, especially during harsh Canadian winters. I’ve tried a lot of different night creams, oils, lotions from different product lines. Some were too heavy, others watery and basically useless. A lot had ingredients in them that I didn’t want to use either. It has a light, very pleasant fragrance and best of all, it actually does something!! My facial skin looks visibly smoother and firmer the next morning, when I apply this product before going to sleep. I will definitely continue to use this product based on my results to date. A highly effective formula that utilizes Weleda’s holistic way of looking at plants and nature and 93-years’ of skincare knowledge to support the skin’s restorative process throughout the night. This revitalizing cream contains vitamin E-rich wheat germ oil and inca nut oil to provide antioxidant protection against skin-damaging free radicals. Gotu-kola extract, known to increase collagen production, provides support to the skin’s structure and results in a firmer-looking appearance. Nourishing plant, nut and seed oils, supercharged with essential fatty and omega acids, help to restore skin’s moisture barrier overnight. Awaken to deeply nourished, plumper-looking skin with improved tone and firmness. For best results, use with Age Revitalizing Day Cream and Age Revitalizing Eye & Lip Cream. I use this lotion throughout the day, particularly on my hands and arms. 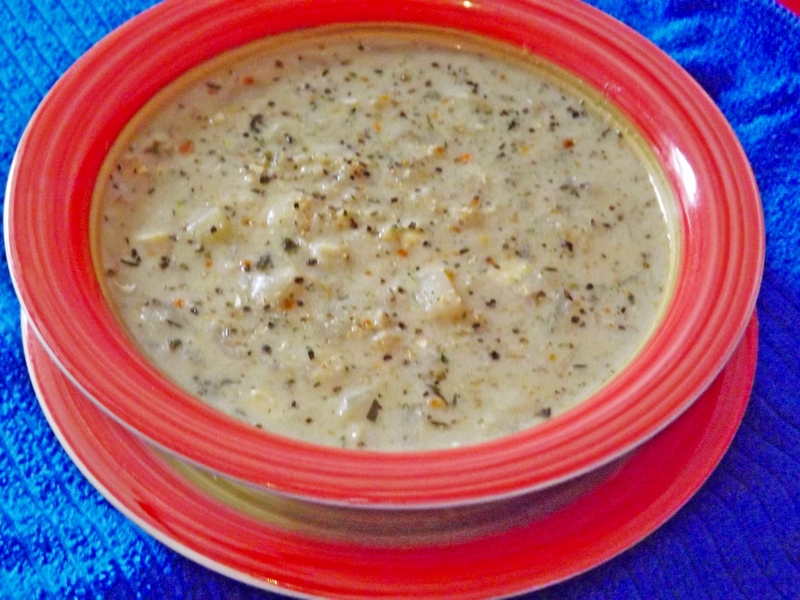 Again, it has a “just right” consistency, not too thick but not watery. Absorbs quickly and completely, leaving a lovely, fresh scent that not only smells nice but lifts my spirits a bit too, with each application! I keep this one handy, right beside the soap dish, as a quick “pick me up” after washing my hands. ♥ it!!! 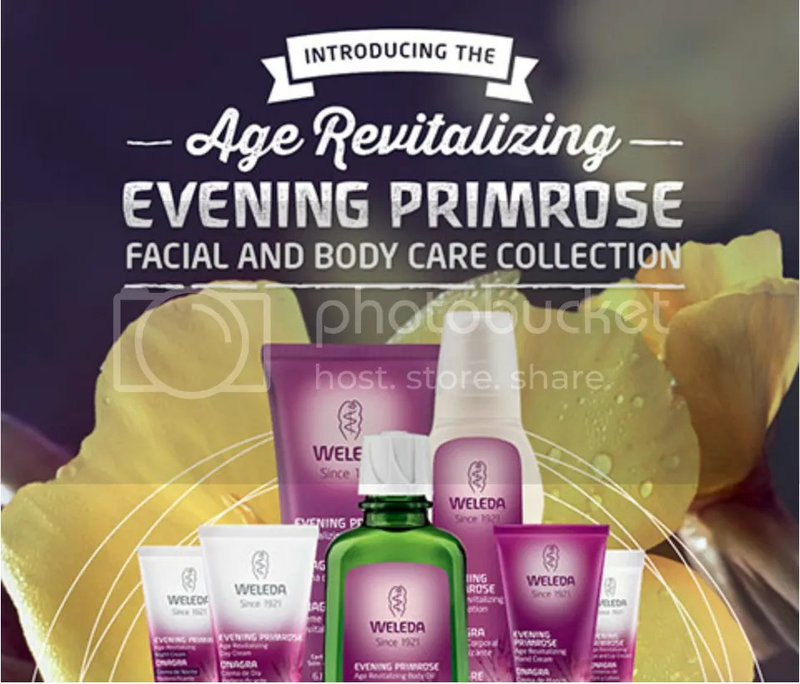 Weleda Evening Primrose Age Revitalizing Body Lotion is a luxurious moisturizer for dry, mature skin that provides intensive, long-lasting nourishment and hydration. Skin-restoring organic evening primrose seed oil delivers essential fatty acids that help restore the skin’s protective barrier, while organic shea butter smoothes and replenishes, leaving skin soft and hydrated. Gotu-kola extract, known for its ability to promote collagen production, helps increase firmness, so skin appears more supple and youthful. Rich and restorative, this natural body lotion leaves skin radiant and renewed, with a soft, floral scent inspired by blooming evening primrose flowers. I also make an ongoing effort to use products of all types that come from companies that are truly “walking the talk” when it comes to environmental,social issues and overall integrity. Weleda certainly seems to be doing more than their share, in this regard. You can read more about their mission statement and principles here. and here. I appreciate that as well and would much rather support companies that are making an effort to “do the right thing” than ones that aren’t. Again, a win-win for buying their products on a regular basis. If you are in need of some new skin care products or just feel that your old stand-by choices are no longer making the grade, Weleda’s new Evening Primrose collection is one you’ll want to check out. Hope you find these reviews helpful and have a wonderful day! Many years ago I sang on a semi-professional basis for quite some time. I was also a finalist (twice) in one of Canada’s prestigious country music competitions at that time: THE BIG COUNTRY MUSIC AWARDS, in the late 80’s. What fun it was and what an unexpected pleasure to find that other people (including some who had been in the biz for a long time) thought I had a talent for singing too. Years later, in 2000 I decided to get back into singing and took more voice lessons, in a more classical vein this time. What a joy it was to rediscover the freedom and pleasure of singing! Of course I’ve always tried to remember to “lighten up the day” with a song, humming along to a CD, singing while driving etc. The times I really remember the true joy of singing are many and varied. One thing I did not know until recently were the many health benefits associated with singing. This article is interesting, listing various health benefits directly related to singing. These include: improved memory, lung capacity, reduced stress and lower blood pressure to name but a few. There are many other lists/articles online, describing the numerous physical, emotional and mental health benefits of singing. 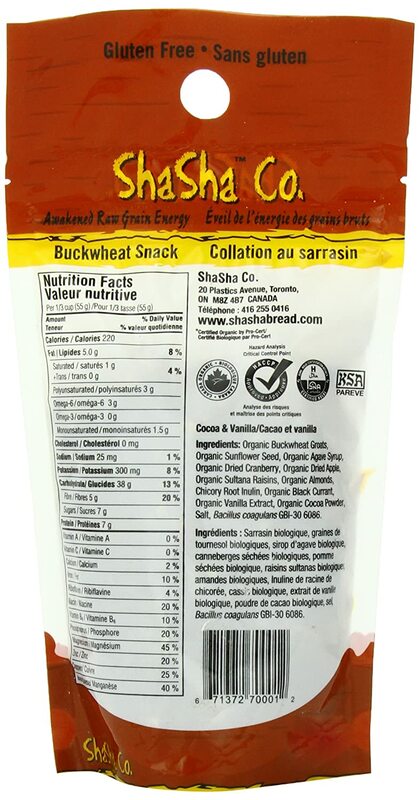 ShaSha Co. Organic Buckwheat Snack(s) are crunchy, not too sweet, filling and have a nice cocoa kick to them too. And the ingredient list is ALL organic, I ♥ that. I‘m trying to buy organic EVERYTHING these days, 😉 but when it comes to snack items, an all organic ingredient list can be hard to find. 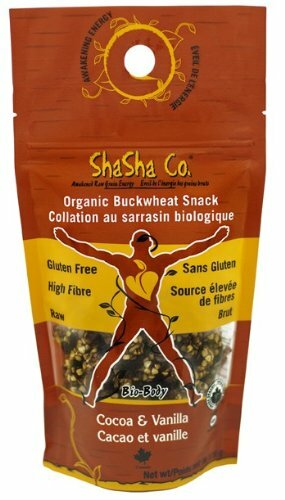 I love that organic buckwheat groats are the main ingredient. 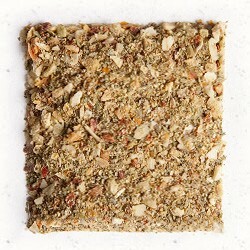 Buckwheat is a very healthy food, you can read more about it here, and at many other sites online. These snacks are also gluten free and IMO, reasonably priced at Amazon for less than $6. for a 170G bag. Considering the organic ingredients, not a bad price at all. Happy Snacking, Weekend and Week Ahead! 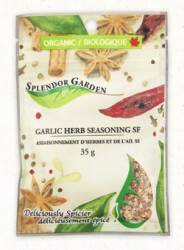 PS: If you have any fav organic and/or healthy snack suggestions to try (sweet or salty) please DO share! Are You Concerned About Food Shelf Life/Storage Safety? Do you ever wonder if something in your fridge is still safe to eat? I do, a lot actually. I had been looking (unsuccessfully) for a kindle book that would list a wide array of foods and what their optimal storage times were. I finally gave up that search and started to look for a site online that would work. It’s a very user-friendly site and lists a LOT of different foods. You simply type in the food you are wanting to check on re: storage/shelf life, and a list of various options for that particular food comes up. You then click on the result for what you need. I was surprised to find out that homemade hummus stored in the fridge is only good for up to 7 DAYS! I know this will be a website that I will be visiting on a regular basis. I hope you find it helpful too! Optimal food shelf life and storage safety is SO IMPORTANT! Happy (and Safe) Cooking and Week!